We are looking forward to the 2018 Farmer’s Market season! This year we will be sharing mushrooms with The Forest People so we will be offering each other’s mushrooms; our lion’s manes and their oysters respectively. One or both of us hopes to see you in Mendocino, Ft. Bragg or Ukiah at the MCFarm certified farmers market. 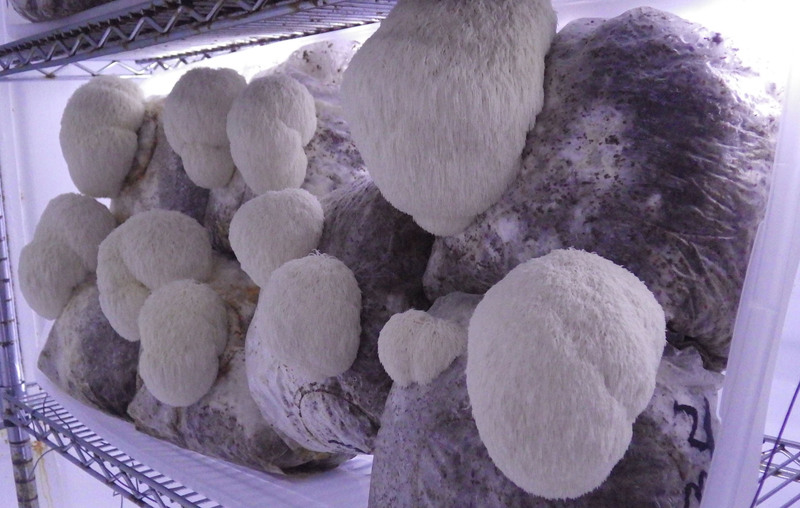 A look at the Hericium fruiting chamber today is below. It appears that we will be back at a steady pace again within the next two weeks. These are ready to harvest. The garden is gearing up for Spring also. 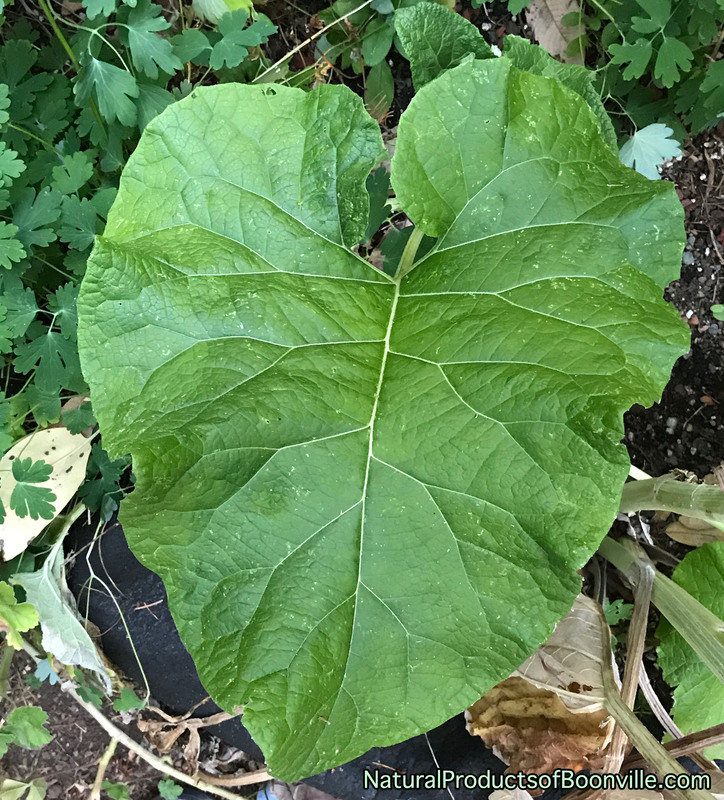 We will soon have gobo (burdock root) and will be bringing some incredible ha gobo leaves to the next farmer’s market. This has become one of our favorite greens. 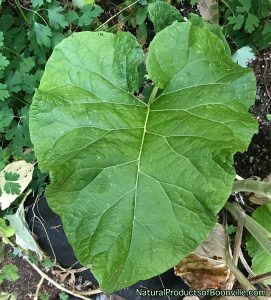 It has a flavor similar to collards but with a luscious velvety mouth feel.